Summary - Front loading and top loading washers will perform the same basic tasks with your laundry, although you should look to their differences to make a decision about which model is right for your home. If you've ever browsed in the appliances section at one of your local stores and you happened to pass by the washing machines, you will surely have noticed that there are two major distinctions between washing machines which are available. You'll find both top loading washers and front loading washers, although you may not understand what the major differences are between the two. If you ever plan on buying a new washing machine, though, you should consider what each type of unit is going to bring to your home. While many of these washing machines will perform in the same basic manner, there are subtle differences that you will need to think about before you make a purchase. These will not only relate to the actual dimensions of the washer, but to the load capacity of these washers as well. The distinctions between front loading and top loading washers could set them apart during your decision making process. The best washing machines are going to be the ones which cater to your particular lifestyle and will help your entire household with all of their laundry needs. While the typical element to consider relating to the way you load the washing machine will be the capacity of the machine, you also have to take into consideration the positioning of the unit. Front loading washers have a loading hole located to the front and lower on the unit than a top loading washer would. If anyone in your household has trouble bending over, it may be difficult for them to use a front loading unit. · Where the laundry is loaded into, meaning top or front. · How large the capacity is within the washing basin. 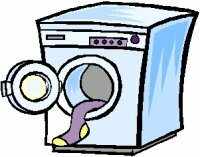 · How much energy and how much water will be used by each type of washing machine. · The number of cycles through which each machine can wash your clothes. · Information relating to the spin cycle of the unit. Front loading and top loading washers will differ in these areas, not simply relating to how you put the laundry into the washer itself. Often, making the choice between two washing machines will be the difference between how many clothes you want to wash at one time compared to the efficiency that you are striving to achieve. Making a decision can come down to many specific factors. Top loading washing machines, as stated, usually have a larger washing basin. This means that you can put more clothes into the unit at one time and run larger loads of laundry. In addition to various water temperatures and spin cycles, you will typically expect to use this washing machine to take care of large quantities of laundry without much trouble. The nature of this machine, though, will usually require you to either use a clothes dryer to fully ensure that the clothes will dry, or to hang dry them. While the spin cycle can help dry the clothes, they will still be damp after completing this cycle. Front loading washing machines, although they have a large basin, will usually hold a smaller amount of clothes. This is because they cannot contain too much water within, as it could potentially leak out and cause massive problems. As a result, you will be able to do less laundry within one of these units, even though the basin appears to be just as large as with a top washer. This factor, however, will also result in you conserving more water than you would with a top washer. This can help you cut back on your consumption, which will also benefit you on your power bill. There are some models of front loading washers which will actually work on steam drying your clothes. This will result in you not having the need for a separate clothes dryer, which can save you money in relation to your budget for appliances. While one of these units may be more expensive, it can also help you save money in the long run, as you will not be buying or running two different appliances. Some models will be smaller and stackable. Front loading washers and dryers can often be placed on top of each other, to help conserve as much space as possible. This can help you bring a washer and dryer into a tighter space, still giving you the full ability for laundry capabilities, without forcing you to deal with these large, boxy appliances. Other units will include a small washer and dryer built into the same unit, stacked on top of each other. This can also be beneficial when you are looking to save on space. You should also pay attention to the number of temperatures, washing, and spin cycles which are present in a machine. The more basic units may only give you a few washing cycles and temperatures, while more advanced units can give you washing cycles which are special for any number of fabrics. Making the most out of what you are given will be important if you are going to use your washing machine to handle your entire wardrobe. 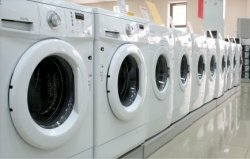 While many washing machines are built to energy efficiency standards in terms of both power and water consumption, a typical front loading washer will use far less than the top loading units. You do have to consider, however, the rate at which you will be using the washing machine. Using a top loading washer with more power and water usage once over a front loading machine twice can prove to be more efficient than you would otherwise expect. 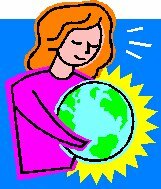 Being energy efficient will be important and you will want to find machines which are going to save in the end. Take care, however, to fully evaluate washing machine ratings to determine exactly what those energy levels will be, as you could end up saving more in time with the larger washer. While these factors will vary with every individual household, taking your personal needs into consideration will lead you toward making the most economic and environmentally friendly choice possible.